Best Home Gym Equipment Reviews Can You Exercise After Giving Blood? Donating blood is one of the best and most charitable ways to spend your free time. Hospitals rely on blood donations to save lives, and your donation could mean the difference between life and death for someone on the brink. But how does blood donation affect weight training? Is it okay to lift weights after giving blood? How long should you wait before exercising? There are several guidelines and studies about exercise physiology after a blood donation and how it affects performance. Pay close attention for the next time you have a blood donation and don’t want to miss a workout. How Long Should I Wait To Exercise After Giving Blood? Blood donation is one of the safest medical procedures out there (if you can even call it that). 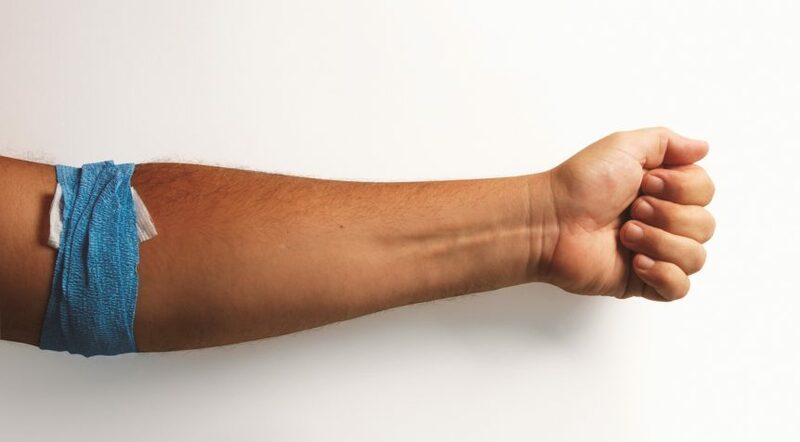 If you haven’t been before, basically they do a quick health screening, a blood test, then stick an IV in your arm and let your blood feed into a bag for about 15-20 minutes. Then they’ll usually give you a snack and something to drink while you wait in the rest area (to make sure you don’t have any immediate ill side effects), then you leave. It’s a very quick and relatively painless procedure; however, with that being said, there are people who sometimes have side effects from giving blood. The most common side effect is bruising around the area where the needle went in. Essential oils can be used to treat bruising. This generally isn’t a big deal, but the spot can be tender for a few days. Essential oils can be used to treat bruises. Some people also experience tingling and numbness in the arm. This should subside in a few days if you do experience it, which isn’t very common. Dizziness and nausea are the most extreme possible side effects of donating blood, and if any symptoms persist more than a few days, you should contact the donation center to inform them that you aren’t feeling well. Even though donating blood is a quick and easy procedure, that doesn’t mean you should go to the gym and try to PR right after. It is recommended to avoid strenuous exercise for 24 hours before AND after donating blood. If you exercise before giving blood and don’t get enough food and water to fully recover, it could make you more susceptible to dizziness and perhaps nausea after you donate. Donating blood drains you, literally, so exercise afterwards can also put you at risk of dizziness, and even fainting if you’re exercising at a high enough intensity. 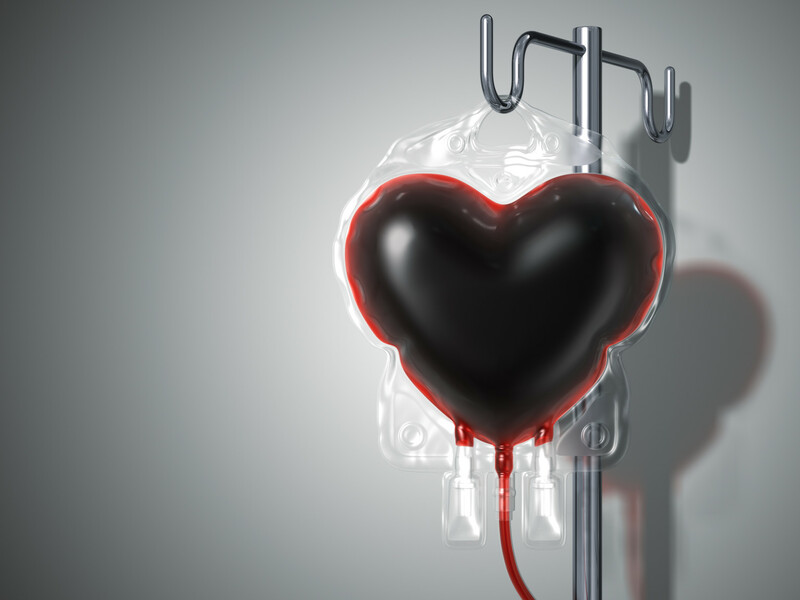 There have been several studies showing how donating blood affects athletic performance, and there’s some good news and not-so-good news for you weight lifters out there. One study found that submaximal performance is not dramatically affected by donating blood, so the next day you should be fine to engage in moderate to high rep, moderate intensity exercise. However, in the same study, it was found the maximal performance can be affected up to 7-10 days after donating blood. That means hitting your 1RM or competing in at a lifting meet should be scheduled 1-2 weeks after donating blood just to be safe. Lifting at a submaximal intensity hasn’t shown any side effects after donating blood, aside from a higher resting heart rate the next day. Side effects and other blood-donation involved ailments can be minimalized greatly by following a few tips. The main tip not listed is this: Listen to the medical professionals! Eating food with plenty of iron before donating will allow your body to regenerate your blood-iron level much quicker. This is important in your body’s ability to stay hydrated – low iron can cause fatigue and dizziness. In fact, if you’ve ever had signs or symptoms of anemia, they are due to having low blood-iron levels, and generally require iron supplements or foods high in iron to help bounce back. Staying adequately hydrated is important in everyday life, and becomes more important when you’re about to have some blood drained out of you. Symptoms of dehydration include dizziness and nausea, the same as some of the possible side effects of giving blood. If you’re dehydrated when giving blood, your side effects and symptoms exacerbate each other and you could be in dire straits for the rest of the day and the following day. Donating blood, although not particularly taxing as an activity, can leave you a bit tired and sluggish. This is why it is extremely important to be well-rested going into the donation center. If you haven’t slept for ten days and your body is already struggling, then you lose a significant amount of blood, you could find yourself suffering serious fatigue. If you donate during your workday, or if you have work the next day and you donate on little sleep, you could be in for a very rough shift. Donating blood is a noble endeavor (and it can usually get you a day off work) and it goes to a great cause. Several area hospitals and doctors, especially after natural disasters or large accidents, are in need of blood to perform transfusions and save lives. Your donation can be the hope of someone facing a very, very tough time. Donating often can really make a difference in your community. Although giving blood is slightly taxing on your body, you can exercise the next day. It is recommended to wait at least 24 hours after donating blood to exercise, and to wait even longer if you still have symptoms such as dizziness, chronic fatigue or flu-like symptoms. These symptoms can be minimized by eating foods high in iron, staying hydrated and getting plenty of rest before you donate. If you are planning on lifting heavy or reaching a PR, you should wait 7-10 days after donating blood – this is how long it takes for your maximal performance to return to normal levels. However, submaximal performance isn’t significantly affected, so if you’re going for moderate-high reps, by all means go for it. @Nitin Doesn’t seem like you waited 24 hours. From 5pm to 6am the next day is only 13 hours. LOL someone tell me what kind of workplace gives their employees the day off for donating blood and if they are hiring. In Romania, this is something mandated by law, for example. I expect most of Europe has similar laws.